The use of Google Apps for Education provides students and staff with essential digital tools in a safe, reliable, and environmentally friendly workspace. Together staff and students become skillful learners and innovators who use these tools to support and develop skills within the “Four C’s:” critical thinking, communication, collaboration, and creativity while strengthening their digital citizenship skills including: strategic searching, research skills, digital creation rights, and safe online sharing. 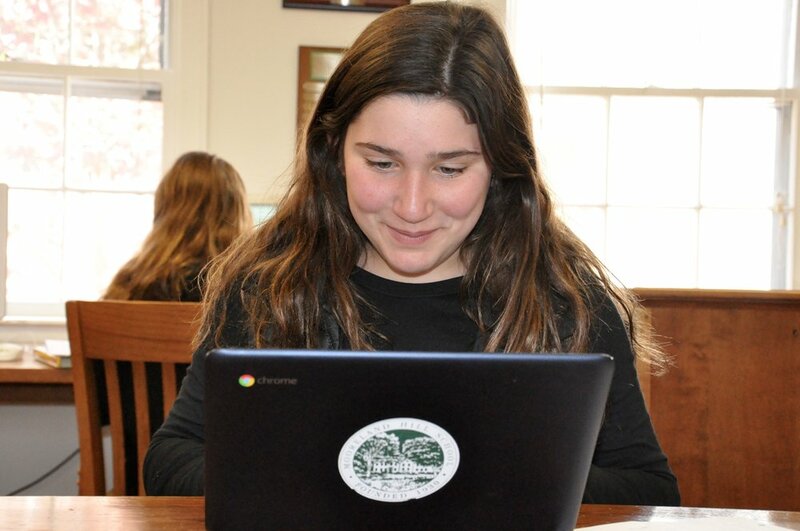 Mooreland Hill has class sets of ChromeBooks and well as library Chromebases. Teachers and students use Google Classroom to enhance learning opportunities and help with organization. Classrooms are outfitted with SmartBoards.